Background: The treatment of schizophrenia with LAIs is a significant focus of drug development. The cost of re-hospitalization due specifically to nonadherence alone has been estimated at 1.4 to 1.8 billion United States dollars per year. Using LAIs could dramatically improve adherence thus reducing re-hospitalization. Objectives/methods: Trained raters completed retrospective/prospective analysis of records of outpatients receiving LAIs. CGI-S and GAF scores measured clinical outcomes. Chart reviews included one year prior to LAI initiation (Pre) and one-year post exposure (Post). Service utilization was analyzed with a Kruskal-Wallis for analysis of variance and Wilcoxon-signed rank test for significance. Results: There were 139 patients (average age, years: 47±13; males: 85) were identified. Ethnicity was representative of the community. • Clinical outcome: CGI-S (Pre: 4.59; Post: 3.77; P<0.001) score and GAF (Pre: 33; Post: 41; P=0.012) scale. • Service utilization: inpatient costs (Pre: $22,459; Post: $1810; P<0.001); outpatient costs (Pre: $1,129; Post: $3069; P<0.001); ER costs (Pre: $410; Post: $142; P<0.001); medication costs (Pre: $5510; Post: $10,945; P<0.001); and total costs (Pre: $29,508; Post: $15,966; P<0.001). Conclusion: Due to limitations, these results may not be applicable to the general population. The present study provides evidence that LAIs stabilize or improve outcome measures while reducing hospitalization and overall costs. LAIs should be used as first-line agents and prophylactically rather than as a last resort. Ultimately, the decision to use LAIs should be driven by careful consideration of potential side effects and likelihood of adherence to therapy. Funding/disclosures: The authors have no conflicts of interest relevant to the study. The study was funded by GPI Clinical Research. Affiliations: 1Ridge Diagnostics; 2California Clinical Trials Medical Group; 3PAREXEL International; 4Harvard Medical School, Clinical Trials Network & Institute (CTNI), Massachusetts General Hospital; 5Neuralstem, Inc.
Background: Few biomarkers of antidepressant treatment response are in current use as an adjunct to clinical response measurements made using subjective clinical assessment tools. Our aim was to explore biomarkers on the MDDScore™ test panel (Ridge Diagnostics) for the ability to monitor efficacy during a trial of NSI-189 (Neuralstem). Objectives/methods: NSI-189 was evaluated in a Phase Ib, double-blind, randomized, placebo-controlled, multiple-dose study, with patients receiving treatment for 28 days in three-dose ascending cohorts. During dosing and follow-up, patients underwent traditional safety and pharmacokinetic assessments. Assessments included the CPFQ, CGI-S, C-SSRS, MADRS, and the SDQ. Plasma samples were tested by immunoassay for 10 biomarkers (A1AT, Apo C3, BDNF, Cortisol, EGF, MPO. Prolactin, Resistin, sTNFR2, and TSH) at two-week intervals. In our analysis, we used a reduction of 18 units in MADRS scores at the end of treatment as indicative of a rapid clinical response to NSI-189. Results: Using the group mean data from traditional assessments, the effect size for NSI-189 treatment versus placebo was significant and positive. With the possible exception of cortisol, no individual biomarker was able to effectively mirror NSI-189 treatment. However, a logistic regression-based model utilizing baseline plasma levels of BDNF, EGF, MPO, TNFR2, and A1AT was able to identify a rapid response to NSI-189, consistent with therapeutic effects shown by the traditional clinical measures. Conclusion: Preliminary analysis of this small sample set suggests that prediction of response to NSI-189 may be possible from baseline biomarker profiling. Funding/disclosures: Drs. Bilello and Thurmond are employees and stockholders of Ridge Diagnostics, Inc. Ms. Feng was a statistical intern employed by Ridge. Drs. English and Ereshefsky are employees of PAREXEL International. Drs. Fava, Hoeppner, Mischoulon, Kinrys, and Freeman are faculty members Harvard Medical School and the MGH. M. Flynn is Director of Operations, MGH CTNI. Dr. Gertsik is the medical director and an employee of the CCTG. MGH, the CTNI, and CCTG were contracted by Neuralstem. Dr Johe is the CSO of Neuralstem. The study was supported by Neuralstem. Affiliations: 1Butler Hospital Mood Disorders Research Program, 2Sheppard Pratt Health System Clinical Research Programs, 3Kaiser Permanente Center for Health Research, 4Dartmouth-Hitchcock Medical Center, 5CRI Lifetree Center for Neuroscience Research, 6Emory University Department of Psychiatry and Behavioral Sciences, 7Cervel Neurotech, Inc.
Background: In 2008, the first repetitive transcranial magnetic stimulation (rTMS) device was approved by the FDA for the treatment of major depressive disorder (MDD). Since then, rTMS has become a standard of care for individuals with MDD who do not benefit from antidepressant medications. A second generation rTMS system developed by Cervel Neurotech (Redwood City, CA) uses a two-coil array to generate electrical field potentials targeting multiple brain locations, both deep and superficial. The positioning of coils is designed to produce a summation of the fields at relatively deep cortical sites and avoid non-targeted areas. Objectives/methods: A randomized, double-blind, sham-controlled, parallel-groups clinical trial examined the safety and efficacy of two-coil rTMS as the sole or adjunctive treatment of MDD (N=92). Both treatment-intolerant and treatment-resistant participants (who failed to achieve satisfactory improvement from at least one prior adequately dosed antidepressant medication) were enrolled at six United States sites. Eligible participants received 20 daily rTMS treatments over four weeks. The majority received rTMS as an adjunct to stable (ineffective) pharmacotherapy. Targeted coil centers were positioned over the left dorsolateral prefrontal cortex (dlPFC) and posterior dorsomedial prefrontal cortex (pdmPFC). Ten hertz stimulation was provided (4-second trains, 26-second inter-train interval) with maximum summated power for both coils 120 percent or greater of resting motor threshold. Durability of effect was measured one month after completion of the final treatment. Serial depression ratings (HAMD-24) were administered via a computer program, and the primary efficacy endpoint was change in HAMD-24 score from baseline to endpoint (4 weeks). Results: Data from n=75 patients were included in the per-protocol (PP) sample. Mean HAMD-24 improvement at Week 4 for the active treatment group (-15.1±9.6) was significantly greater (p=0.033; Cohen’s d=0.5) than for the sham group (-10.4±8.7). Week 4 HAMD-24 response rates were 55.3 percent for active versus 32.4 percent for sham (p=0.063), and remission rates were 26.3 percent versus 18.9 percent (not significant). The proportion of patients who met response criteria at both the end of 20 treatments (Week 4) and one month later was 41.7 percent for those who received active rTMS versus 19.4 percent who received sham (p=0.072). The proportion of subjects with at least one AE was 42.6 percent in the rTMS group, 51.1 percent in the Sham group, and 46.7 percent overall. Most AEs reported were mild. Subjects with at least one ADE (adverse device event) was 51.1 percent in the rTMS group, 28.9 percent in the Sham group, and 40.2 percent overall. All ADEs were mild or moderate. The most commonly reported ADEs were pain at the treatment application site and headache. More occurred in the rTMS group than the Sham group. These ADEs were all transient, of mild to moderate severity, and each occurred in a small number of subjects. All ADEs were anticipated; there were no unanticipated adverse device effects (UADEs). As previously reported in other rTMS studies, there was no hearing loss, no cognitive function changes, no seizures, and no hypomanic events. And no events were related to a device malfunction. Background: Cariprazine, a D3-preferring dopamine D3/D2 receptor partial agonist, was effective and well-tolerated in three placebo-controlled trials in bipolar mania (NCT00488618, NCT01058096, NCT01058668). This pooled analysis investigated the efficacy of cariprazine on overall severity of illness by measuring categorical improvement in CGI-S scores. Objectives/methods: The percentage of cariprazine (3–12mg/d, n=1,043) and placebo (n=724) patients who improved from a more severe CGI-S category at baseline to a less severe category at Week 3 were evaluated. The three-shift criteria analyzed were 1) CGI-S ?4 (moderately ill or worse) to ?2 (borderline ill/normal); 2) ?5 (markedly ill or worse) to ?2 (borderline ill/normal); 3) ?6 (severely/extremely ill) to ?3 (mildly ill or better). Results: At baseline, 97 patients were severely or extremely ill, 637 were at least markedly ill, and 1,033 were at least moderately ill. A significantly greater percentage of cariprazine versus placebo patients improved from moderately ill or worse to borderline ill/normal (32% vs. 22%; odds ratio [OR]=1.71; P<0.001). Similarly, a greater percentage of cariprazine versus placebo patients shifted from markedly ill or worse to borderline ill/normal (32% vs 18%; OR=2.10; P<0.001). Categorical improvement from severely/extremely ill to mildly ill or better occurred more frequently in cariprazine vs. placebo patients (55% vs 36%; OR=2.12), but differences did not reach significance (P=0.09). Conclusion: In patients with manic/mixed bipolar I episodes, cariprazine was associated with clinically relevant improvements in global disease severity, as shown by the percentage of cariprazine vs. placebo patients that improved to less severe CGI-S categories after treatment. Funding/disclosures: Litman RE is a member of Janssen’s speaker’s bureau. Lu K, Patrick P, and Durgam S are employees of Forest Research Institute, a subsidiary of Actavis plc. Nagy K and Laszlovszky I are employees of Gedeon Richter Plc. Background: ANAVEX 2-73 (AV2-73) is a novel muscarinic and selective sigma-1 receptor agonist under development as potential agent for Alzheimer’s disease and dementia with neuroprotective and potential disease modifying properties. A first-in-human study using single ascending doses was conducted to characterize safety, tolerability, and pharmacokinetics (PK) of oral AV2-73. Objectives/methods: Randomized, double-blind, placebo-controlled, single-dose study with two cohorts of eight healthy male subjects (a total of 22 subjects received AV2-73). Safety included adverse events (AEs), vital signs, ECG, clinical laboratory. A blinded safety review committee (SRC) decided on dose escalation. During 48h AV2-73 and its active metabolite ANAVEX19-144 (AV19-144) were determined in plasma and collected urine using validated HPLC. Results: No serious adverse event was reported. There was no study discontinuation due to AEs. No dose-limiting AEs or lab-abnormalities at doses of 1, 10, 30, 40 and 50mg were observed. At 60mg, 3 of 4 subjects presented dose-limiting CNS-symptoms (dizziness and headache). MTD of AV2-73 was defined as 55mg. The study drug did not affect vital signs, ECG, or any safety laboratory parameters Cmax of AV2-73 and AV19-144 showed dose dependent increase, with tmax at 1 to 2h (AV2-73) and 2.5 to 3.9h (AV19-144). AUClast and AUCinf showed dose-proportional linear increases for both analytes with higher values for the metabolite. T1/2 of AV19-144 was 28.74h, the half-life of AV2-73 was 8.56h. AV2-73 generated approximately five times more AV19-144 and the amount excreted in urine (Ae[0–48]) of AV19-144 was about 15 to 40 times higher than of AV2-73. Conclusion: Single oral doses of 1 to 55mg AV2-73 were safe and well tolerated with dose-dependent frequency and intensity of AEs. Dizziness was the most frequent AE. MTD was defined as 55mg. PK data revealed extensive biotransformation of AV2-73 to AV19-144. Linear pharmacokinetics after single oral dosing of 1 to 60mg AV2-73 is assumed. Funding/disclosures: This study was commissioned by Anavex Life Sciences Corp. to ABX-CRO Advanced Pharmaceutical Services GmbH. Voges O is an ABX-CRO employee, Weigmann I is an IABX-CRO employee, Bitterlich N is affiliated with ABX-CRO, Missling C is the CEO of Anavex Life Sciences Corp., Schindler C had a former part-time affiliation with ABX-CRO. Background: Cariprazine is a dopamine D3/D2 receptor partial agonist with preferential binding to D3 receptors. Cariprazine was effective and generally well tolerated in three phase II/III studies in patients with schizophrenia. In this pooled analysis, the effect of cariprazine on overall disease severity was evaluated by measuring clinically relevant categorical shifts in CGI-S scores. Objectives/methods: Data were pooled from three positive, double-blind, placebo-controlled trials in patients with acute exacerbation of schizophrenia (NCT00694707, NCT01104766, NCT01104779). In this post-hoc analysis, improvements in global disease severity at Week 6 were assessed by analyzing the proportion of cariprazine (1.5–9mg/d) and placebo patients shifting from a baseline CGI-S score of 6 or greater (severely/extremely ill) to endpoint score of 3 or less (mildly ill or better). Additional analyses included CGI-S score shifts from 5 or greater (markedly ill or worse) to 2 or less (borderline ill/normal). Results: The pooled population comprised 161 patients (placebo, n=50; cariprazine, n=111) classified as severely or extremely ill and 1,033 patients (placebo, n=311; cariprazine, n=722) classified as at least markedly ill. A significantly greater proportion of severely ill patients at baseline improved to mildly ill or better in the cariprazine group compared with placebo (42% vs. 18%; odds ratio [OR]=3.43; P=0.004). In patients who were markedly ill or worse at baseline, seven percent of cariprazine vs. three percent of placebo patients improved to borderline ill/normal at Week 6 (OR=2.33; P=0.022). Conclusion: Cariprazine compared with placebo treatment resulted in a significantly greater proportion of patients achieving clinically relevant improvements in global disease severity as measured by CGI-S category shifts. Funding/disclosures: Volk S has received grant/research support from Eli Lilly, Forest Laboratories Inc., Merck, Otsuka Pharmaceuticals, and Sunovion. Lu K, Patrick P, and Durgam S are employees of Forest Research Institute, a subsidiary of Actavis plc. Zukin S was an employee of Forest Research Institute at the time of the study. Debelle M and Laszlovszky I are employees of Gedeon Richter Plc. Background: Monoamine oxidase inhibitors (MAOIs) can be useful for patients who have atypical depression or who do not respond to first-line treatments. This study examines treatment patterns and disease outcomes among US veterans treated with selegiline transdermal system (STS). Objectives/methods: This study used electronic medical record data from the Veterans Affairs (VA) between January 1999 and July 2012. Patients were defined based on at least one prescription for STS and 180 days prior baseline healthcare coverage within the VA. Seven hundred and nineteen patients met these criteria. For STS-treated patients with a diagnosis of major depressive disorder (MDD), antidepressant treatment patterns were explored. In addition, incidence rates (IRs) were calculated for relevant outcomes most likely to be linked to either the condition (depression) or treatment (STS). Results: The most common diagnoses for which STS was indicated were MDD, post-traumatic stress disorder (PTSD), anxiety disorder, and bipolar disorder. Among patients with MDD, less than five percent had STS as their initial antidepressant and 86 percent switched to STS from one or more other antidepressants. Close to 25 percent of patients had STS as the final antidepressant prescribed, while other patients switched again to different antidepressants. Conclusion: STS was prescribed to patients in the context of complex, highly-personalized care. Although fewer than five percent of patients receiving STS had it as their initial antidepressant, almost 25 percent had STS as the final antidepressant prescribed, possibly indicating positive patient response. Results related to disease outcomes support current research on STS. Further study, especially on long-term use, is recommended. Background: Switching antipsychotics is common in clinical practice and is associated with clinically significant complications that can be minimized with appropriate precautions. In 2012, an advisory board of 12 senior Taiwanese psychiatrists has proposed the first recommendation for switching to paliperidone ER peer reviewed at the 2013 WCAP meeting. With over one year of evaluation, the advisory board included more psychiatrists’ suggestion and came up with the revised version. Objectives/methods: Four expert meetings were held in four major cities in Taiwan in early 2014 with the participation of 54 psychiatrists, each of them with over 10 years of experience in clinical practice. They were requested to propose suggestions, based on their clinical experience and pharmacokinetic/ pharmacodynamics aspects of each drug, to the previous recommendation. Results: The switching strategy for zipresidone was replaced by zotepine, given the prescription rate in Taiwan. For most SDAs, we recommended switching to paliperidone ER directly, while the alternative cross titration strategy suggested for amisulpride was eliminated. For most MARTA drugs, we recommended switching indirectly, while the targeted dose of clozapine for combination with paliperidone ER was reduced from 300 to 800mg to 200 to 600mg. Conclusion: These recommendations are derived from a large scale of expert consensus. The development of more precise strategies requires further clinical studies. Our consensus suggests that by switching to paliperidone ER with appropriate strategies patients may receive additional benefits and minimize the risk of adverse effects. Background: Genotyping-based treatment decisions may reduce time to response and minimize adverse drug events (ADEs) in depressed patients. Objectives/methods: To estimate the financial impact of genotyping-based treatment decisions in patients with second-line major depressive disorder (MDD) and MDD with comorbid posttraumatic stress disorder (PTSD) in a managed care setting. A budget impact model was built with a one-year time horizon to estimate costs of genotyping-based treatment decisions in a 1,138 patient cohort. The model includes drug costs, type and cost of adverse events (AEs), distribution of treatments used, and genotyping costs. Event rates and healthcare costs were derived from primary literature. Three patient cohorts were assessed with and without genotyping-based treatment decisions: 100-percent MDD; 50-percent MDD and 50-percent MDD with PTSD; and 100-percent MDD with PTSD. Sensitivity analysis was carried out varying costs, adherence, and the percentage of patients treated according to genotyping results. Results: Medical and AE costs varied by patient severity and genotyping rates. Without genotyping, drug and AE costs ranged from $4,744,364 to $16,605,274. With genotyping-based treatment, total costs ranged from $5,884,884 to $9,018,860. With genotyping-based treatment, suicides were reduced (-0.7– -6.3) over a one-year time period. Sensitivity analysis varying costs, adherence, and genotyping rates suggest genotyping improves outcomes and is cost saving in second-line patients with MDD and PTSD. Conclusion: Genotyping-based treatment costs are offset by reduced medication utilization and adverse event costs. Genotyping should be considered for second-line MDD and PTSD patients in clinical practice and within clinical trials. Funding/disclosures: R Morlock is consultant to Ardea Bioscience, AstraZeneca, Pathway Genomics, and Receptos. R Dabner is an employee of Pathway Genomics. Background: Recent advances within the scientific and medical community have yielded drugs with higher reported efficacy rates than ever before. While carefully studied and analyzed in the lab, such new drugs cannot reach routine clinical use until they are administered and studied on human subjects. Clinical research studies using new medications are then pivotal components to the advancement of medical treatment. Sufficient patient participation in these studies is crucial to their success. However, patients are often reluctant to engage in such studies where the efficacy and safety of a new medication has not yet been established, or due to concerns they may receive a placebo. Therefore, understanding the motives and perceptions of patients who consent to participate in clinical research studies is critical towards fostering greater enrollment rates of appropriate patients, so that new medications may be fully evaluated. Objectives/methods: A sample of 41 participants was obtained at Princeton Medical Institute. After finishing a particular clinical research study at Princeton Medical Institute, each participant was asked to complete a survey detailing their motives, feelings, and overall experience regarding the study. The survey included questions about their comfort levels after an initial screening, their particular motives for engaging in the research study, their overall clinical experience, and their likelihood to recommend such a study to a friend or others. Results: Of the 41 completed surveys, 36 were filled out correctly. Five misread directions regarding one section of the survey and therefore their data from that section was discarded. However, definitive trends were evident amongst the participants. On average, participants rated “to help myself and others to advance science” and “to find a better treatment” as their two most prominent reasons for engaging in the study, the former motive scoring an average of 8.14 and the latter a 8.20 on a scale of 1-10, as opposed to an average score of 3.80 for “to receive money for my participation”. This suggests participants are more likely to engage in studies out of medical necessity, altruism, and curiosity rather than for monetary or egocentric reasons. Furthermore, patients seemed generally satisfied with the study and the treatment they received, as the overall satisfaction rating for subject’s clinical trial experience was a 9.3 on a scale of 1 to 10. Furthermore, 36 out of 41 patients felt they received a high standard of medical care, and 40 out of 41 patients noted they would definitely recommend clinical research study participation to a friend, specifically at Princeton Medical Institute. Conclusion: While it’s plausible that each participant undergoes some degree of nervousness and anxiety at the beginning of a clinical research study, these data suggest that patients’ overall experiences in an outpatient clinical trial are consistently positive and reassuring. Therefore, the research studies themselves may not be the obstacle toward future participation. Educating the public about the clinical trial process, and the positive experiences most study patients report may be of use. Results such as these may calm any lingering doubts, suspicions, and fears about volunteering for a clinical research study for the general public. Background: An important characteristic of successful healthcare and patient participation in clinical trials is strong communication between patients and their providers. Using eClinical technology can be one mechanism for achieving this goal. We propose that the optimal implementation considers patient preference and ease of use, and that incorporating eClinical technology can lead to increased patient adherence and ultimately translate into improved clinical care. Objectives/methods: We surveyed 100 patients in the United States with depression; questions focused on mobile technology use, perceptions, and preferences. Results: Full data analysis is currently underway and will be completed in mid-October. We will report patient demographics (age and gender) and experience with technology, including smartphone use and frequency of internet use. Other metrics will include level of interest in using electronic methods to interact more with physicians between visits to help manage and treat patient disease, perceived impact of technology on improving patient health and managing disease, and preferred electronic methods of managing patient disease, including email and text message communications with providers, clinical visit scheduling via smartphone, and medication reminders via smartphone. Conclusion: Based on preliminary analysis, the data final should show that patients are interested in using electronic methods to increase communication with their physicians and manage their disease. Possible opportunities for addressing this need include educational smartphone apps, medication reminders via text messaging, and/or clinic visit scheduling via smartphone app. Providers should consider engaging patients with eClinical technology to increase patient-physician communication and for the ultimate goal of improved healthcare. Disclosures: The authors are employees of PHT Corporation and have no conflicts of interest to disclose. 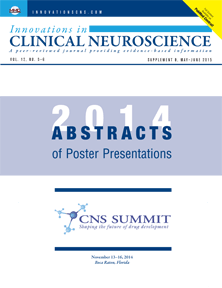 Background: Prospective monitoring of suicidal ideation and behavior (SIB) is a regulatory requirement in most CNS clinical trials. Valid and systematic assessment of SIB may not only protect patients, but also protect new treatments, as it can reduce false signals that may raise unnecessary safety concerns. The interactive voice response (IVR) version of the Electronic Columbia-Suicide Severity Rating Scale (eC-SSRS)—which is completed directly by patients, without a clinician interviewer—can be used to prospectively monitor SIB. The eC-SSRS is intended for use in a broad range of clinical settings, so it is important to implement it on different platforms, including text-based screen modalities, such as the web and handheld devices. Objectives/methods: Accordingly, in this randomized, crossover study, we examined the equivalence of scores obtained from the IVR version and a new patient-reported version that was administered on a tablet device. Two groups were included in the study—recently admitted psychiatric inpatients (n=58) and employees of the hospital site (n=28)—in order to explore the broadest range of SIB. The mean age of the sample was 41.0 years (SD=12.5); 59 percent of the subjects were female. Participants completed both the IVR and tablet versions in randomized order, with a 25-minute break between administrations. Participants also completed a second administration of the first administered version at the end of the session. Intraclass correlation coefficients (ICCs) and Kappa coefficients were used to evaluate degree of agreement across modalities. Results: High levels of agreement were observed for most severe lifetime (ICC=0.88) and recent (ICC=0.79) ideation; occurrence of actual lifetime (Kappa=0.81) and recent (Kappa=0.73) suicide attempts; and occurrence of lifetime interrupted attempts (Kappa=0.78), aborted attempts (kappa=0.54), and preparatory behaviors (Kappa=0.76), as well as nonsuicidal self-injurious behavior (Kappa=0.73). Scores from both modes significantly differentiated psychiatric patients and hospital employee controls, and the test-retest reliability of both modes was excellent. Conclusion: These results support the validity and reliability of the new tablet-based eC-SSRS. This will allow the inclusion of the eC-SSRS in a wider range of clinical studies, particularly where a tablet is also being used to collect other patient-reported efficacy or safety data. Background: Signal detection in depression and other psychiatric clinical trials that utilize human-administered rating scales to measure treatment efficacy have long been hampered by inter- and intra-rater variability and rater biases. Electronic administration of the HAMD has been conducted in industry trials in tandem with the rater HAMD. Cervel Neurotech conducted a feasibility study of its rTMS device using a computer-simulated rater to administer the 24-item Hamilton Rating Scale for Depression (eHAMD-24) as the primary outcome measure as a means to reduce variability and bias. The analysis of the tandem eHAMD supported its use as a stand alone outcome. Objectives/methods: At all study visits, the subjects engaged in an interactive interview via a computer that applied algorithms to select questions based on prior responses in order to assign a score for each item. Eligible subjects with eHAMD-24 total scores of 20 or greater were randomized under double-blind conditions to receive 20 daily rTMS or sham treatments over four weeks. The primary study outcome was the eHAMD-24 score change from the subject’s baseline to the conclusion of treatment. Results: eHAMD-24 data analyzed from 86 patients showed a statistically significant advantage of active rTMS treatment compared to sham treatment. The eHAMD demonstrated high internal consistency across all visits and had no reported incidents of incomplete interviews or equipment failure. Full results and safety data will be presented by Cervel at the annual American College of Neuropsychopharmacology meeting (ACNP). Conclusion: The positive outcome demonstrates proof of concept for both Cervel’s rTMS device and the Bracket eHAMD as a primary outcome measure for depression. Computer-administered rating scales are cost-effective, not prone to functional unblinding or biases, and may be especially attractive for psychiatric drug and device development. The eHAMD has been previously used with paired rater scores as a quality control and secondary assessment in industry depression studies. Notably, any potential shortcomings in validity of a computer-simulated rater would tend to militate against finding a difference between active versus placebo. Funding/disclosures: DeBonis D is an employee of Bracket. Sachs G is affiliated with Massachusetts General Hospital and is an employee of Bracket. Stannard E is a consultant of Cervel Neurotech. Background: People with severe mental illness or with cognitive impairments often experience difficulty performing everyday tasks critical to independent living, such as money or medication management. Thus, there is an interest in developing tools to detect early manifestations of functional decline in order to prescribe remediation strategies or to measure treatment effectiveness. Current assessment tools include standardized neuropsychological measures of abilities, paper and pencil-based tests of functional performance, and informants’ ratings. This study discusses the validation of an innovative, ecologically valid, technology-based functional assessment battery. Objectives/methods: The battery includes six computer-based simulations of tasks: banking/financial management, prescriptions refill, kiosk ticket purchase, online forms completion, physician’s visit, and shopping. The simulations are in a multi-media format at a single level of difficulty and are available in English and Spanish. We have pilot tested our battery with 98 nonimpaired older adults, 74 older adult patients with schizophrenia, and 20 older adults with mild cognitive impairment. Results: The task performance data include real time measures of accuracy, response time, and types of errors. The data indicate that use of the battery is feasible; all of our participants were able to complete the simulations. The battery was also sensitive to detecting ability differences between and within the groups. There is also strong evidence of convergence with paper and pencil tests and measures of cognitive abilities. In specific, even in healthy controls, there was a substantial correlation between performance on the simulations and performance on neuropsychological tests of processing speed, episodic memory, and working memory and performance on functional capacity measures. Conclusion: A computer-based task assessment battery is a feasible and useful tool for assessing functional performance in a variety of populations in a wide variety of settings. Background: Regulatory guidance for clinical trials targeting cognition in schizophrenia highlights the importance of functional capacity and recommends inclusion of a meaningful functional measure as a co-primary endpoint. We developed the Virtual Reality Functional Capacity Assessment Tool (VRFCAT) as a reliable assessment of functional capacity for use in such trials. Using a realistic virtual reality environment, the VRFCAT assesses the ability to complete activities associated with a shopping trip, including searching a pantry, making a list, taking the bus, shopping, paying, and returning home. Objectives/methods: The present study assessed the validity, sensitivity, and reliability of the VRFCAT. VRFCAT performance was compared to performance on the UCSD Performance-based Skills Assessment (UPSA-2-VIM), and the relationship between the VRFCAT and cognitive performance on the MATRICS Consensus Cognitive Battery (MCCB) was assessed. Participants included 160 patients (91 male, 69 female) and 158 controls (80 male, 78 female). Results: High test-retest reliability was demonstrated for the VRFCAT in both groups (ICCs=0.80 and 0.78 for patients and controls, respectively). Test-retest reliability for the UPSA-2-VIM was also high (ICCs=0.77 and 0.78 for patients and controls, respectively). The VRFCAT was negatively correlated with both UPSA-2-VIM (r=-0.55, p Conclusion: Findings indicate the VRFCAT is a highly reliable and sensitive measure with associations to the UPSA-2-VIM and MCCB. Taken together, results provide support for the VRFCAT as a co-primary outcome measure of functional capacity assessment for use in schizophrenia trials. Funding/disclosures: This work is supported by grants 1R43MH084240-01A2 and 2R44MH084240-02 from the National Institute of Mental Health. Keefe R currently or in the past three years has received investigator-initiated research funding support from the Department of Veteran’s Affair, Feinstein Institute for Medical Research, GlaxoSmithKline, National Institute of Mental Health, Novartis, Psychogenics, Research Foundation for Mental Hygiene, Inc., and the Singapore National Medical Research Council; received honoraria or served as a consultant or advisory board member for Abbvie, Akebia, Amgen, Astellas, Asubio, AviNeuro/ ChemRar, BiolineRx, BiogenIdec, Biomarin, Boehringer-Ingelheim, Eli Lilly, FORUM Pharmaceuticals, GW Pharmaceuticals, Helicon, Lundbeck, Merck, Minerva Neurosciences, Inc., Mitsubishi, Novartis, Otsuka, Pfizer, Roche, Shire, Sunovion, Takeda, Targacept; and received royalties from the BACS testing battery, the MATRICS Battery (BACS Symbol Coding), and the Virtual Reality Functional Capacity Assessment Tool (VRFCAT); and is also a shareholder in NeuroCogTrials,Inc. and Sengenix. Atkins AS is a full time employee of NeuroCog Trials, Inc. and in the past three years has received support from the National Institute of Mental Health and the National Institute on Aging. Davis V, Spagnola N, and Ruse S are full time employees of NeuroCog Trials, Inc. Patterson T has no conflicts of interest to disclose. Narasimhan M reports having received grant or research support over the last three years from the National Institute of Mental Health, the National Institute of Drug Abuse, the National Institutes of Alcohol Abuse and Alcoholism, the National Institutes of Health, Astra Zeneca, Eli Lilly, Janssen Pharmaceuticals, Forest Labs, and Pfizer. Harvey P reports having received consulting fees from Abbvie, Boeheringer-Ingelheim, FORUM Pharmaceuticals, Genentech, Otsuka America, Sunovion Pharma, and Takeda Pharma and received royalties from the Brief Assessment of Cognition in Affective Disorders (BAC-A) and the Brief Assessment of Cognition in Schizophrenia (BACS). Does a passive third party observer or proctor influence scores during neurocognitive testing? Background: Previous studies have shown a TPO (third party observer) may impair performance on tests of executive function during cognitive testing. The aim of this study was to investigate this effect comparing two different computerized tests, backward and forward digit span, along with shifting attention in healthy adults. Shifting attention is a test of executive function. Digit span is a test of working memory. Objectives/methods: This was a three-arm study of 44 healthy subjects, 21 to 60 years of age. One arm was tested twice without being observed, a second arm was not observed for the first test session and observed for the second. The third arm was observed first and not observed during the second test. Tests were administered 4 to 7 days apart. The web instance of CNS Vital Signs was used as the test platform. Results: TPO did not achieve a statistically significant p value of 0.05 in any of the groups with either test. (SAT=0.1108, DSF=0.1011, and DSB=0.3168) Additional analyses with invalid subject scores removed are presented. Conclusion: In a population where all test scores are in the analysis, a TPO does not influence the results of neurocognitive testing. With a larger sample size TPO may influence test results. Funding/disclosures: Bender K has no conflicts of interest. Morgan D is an employee of CNS Vital Signs. Boyd A is a developer of the CNS Vital Signs battery. Background: The Clinical Global Impression Scale (CGI) has been widely used as an outcome in clinical trials for psychiatric disorders, including affective illnesses, schizophrenia and related disorders. Despite this, the CGI receives criticism due to its ambiguous scoring criteria, unstable reliability, and because CGI ratings may be too general to provide meaningful information about patient status or treatment response. The CGI also has a fixed administration across disparate disorders, negatively affecting its psychometric properties with regard to key features of a particular condition. This is problematic in studies of neurodevelopmental disorders, such as Down syndrome (DS), which violate key assumptions underlying the CGI—that the disease under examination is potentially reversible. Accounting for the high variability in observed impairments with the CGI is also challenging in DS because a large number of variable somatic co-morbidities exist which may influence global assessment of clinical status. Objectives/methods: We developed a novel, standardized CGI scoring method and training program for use in Phase II/III clinical trials with DS populations. Derived from the DS behavioral phenotype as well as “chief complaints” from the family, this system emphasizes behavioral/emotional symptoms and sequela related to intellectual disability. Conclusion: Following successful use in Phase II clinical trials, field testing is ongoing to examine the psychometric properties of this novel CGI in studies of DS. Background: Negative symptoms have long been seen as an integral feature of schizophrenia (SZ). However, the conceptualization of negative symptoms has changed over time. • Evidence for underlying factor structure of the scales using these different samples. These domains were compared with the original United States validation studies conducted by the scale authors. A new online training program was developed to disseminate BNSS training internationally. Our online training program provided trainees with BNSS training materials that included the BNSS rating criteria, workbook, and a total of three gold standard videos, each showcasing different symptom profiles. Trainees were asked to view and rate one video at a time and were provided with consensus ratings following their rating submissions. Results: The BNSS has shown excellent reliability; this was demonstrated in a large Italian sample and a smaller Spanish sample, and shows reliability estimates that are comparable to the United States validation sample. Good convergent validity was demonstrated in the Spanish sample when compared with the US, with positive correlations with the SANS and Negative symptom subscales. The BNSS has shown excellent cross-cultural convergent validity, indicating its appropriateness for use in international settings. Conclusion: The BNSS is appropriate for dissemination via online training platforms. There are now 7 translations with back translations: Mandarin (Simplified Chinese), Korean, Turkish, Dutch, German, Spanish and Italian. The results show that the concepts of the English version of the BNSS lend themselves well to translation and cross-cultural use. Funding/disclosures: The authors did not disclose funding or conflicts. Background: Sleep is an important factor of health that is closely related to many neurological and environmental conditions. Wrist actigraphy provides a cost-effective method for collecting multiple days of sleep and activity data in a non-lab environment, but current analysis algorithms may be missing important information. Objectives/methods: The Rapid Actigraphy Data Analysis (RADA) program under development by Philips quickly analyzes activity data to produce novel endpoints that make no assumptions about the sleep/wake status of individual epochs. This analysis was applied to the actigraphy records from 73 healthy subjects who worked in a health care setting. Nineteen of the subjects worked the night shift. Results: Conventional actigraphy sleep endpoints—total sleep time (TST) and wake after sleep onset (WASO)—showed no difference between the groups. The RADA analysis showed decreased rest duration in the night workers compared to the day workers. Other RADA endpoints related to the rest period (mean activity, number of mild sleep disturbances [S1]) and mean non-rest activity were the same in both groups. Conclusion: RADA provided an objective analysis of the actigraphy data and identified differences between the groups that were not detected by conventional actigraphy analysis algorithms. RADA may be able to increase our understanding of home rest/activity behaviors of patients with neurological disorders. Affiliations: 1Center for Emotional Fitness, 2Pharmaceutical Research Associates, Inc.
Background: Fifth grade readability (reading and understanding) is recommended for healthcare documents because 20 percent of the population read below the fifth grade level. United States Food and Drug Administration (FDA) guidance for patient reported outcomes (PRO)s does not mention anything about readability, so until now the Rosenberg Hassman Mood Scale (RHMS), a web-based depression rating scale at http://037b9fe.netsolhost.com/mood-scale/1.php, has not addressed readability. Objectives/methods: Reviewing RHMS readability using Readability-Score.com, a free service that determines an average grade level score (AGL) from five different readability algorithms, demonstrated a high AGL (poor readability) for about half the RHMS. The first page of RHMS has a 15.9 AGL (senior in college). Results: RHMS now reads with a 5.2 AGL (5th grade readability). While our 7-item frequency response options (note the use of “7” which is 2 AGLs below “seven”) already had an average AGL of 2.3, because the RHMS is still in development we were able to significantly improve AGL using Readability-Score.com in the 46 RHMS instructions, 26 topics, and 212 symptoms to acceptable AGLs of 5.1, 4.8, and 4.9, respectively. Additionally, the MADRS is increasingly used as a self-rated scale. A review of the self-rated MADRS showed that 31 instructions have an AGL of 9.3, and the 105 symptom questions in the 10 item MADRS have an AGL of 7.3. Conclusion: Readability is important. Readability in general, readability for healthcare documents, readability of the RHMS, readability of the self-rated MADRS, and suggestions for improved readability of scales are discussed. Funding/disclosures: Rosenberg L and Hassman H have equity in the RHMS. This research was self-funded and funded with the assistance of PRA. Background: Among the challenges encountered when conducting Alzheimer’s Disease (AD) trials are the limitations of the instruments utilized in these trials. Research has demonstrated that over 50 percent of the visits may have at least one error. To improve data quality by reducing errors with these instruments, various forms of surveillance have been implemented. Objectives/methods: In this global AD study, form and video review of the ADAS-Cog and MMSE was performed by doctoral level clinicians. We reviewed 813 study screening visits utilizing the ADAS-Cog and MMSE. Results: Of these 813 study screening visits, 195 (24%) were found to have at least one scoring or administrative error. The majority of the errors found were administrative, where instructions were not read verbatim and raters improvised the directions, which tended to influence the difficulty of the task, rendering it more difficult or easier than the standardized task. Of the visits with errors, 45 cases (23%) had errors detected only through video review; form review alone would not have detected these errors. Of further significance, the errors detected in 16 of the 195 video review cases (8%) resulted in the site rater making a scoring change to the primary outcome measures, some of which impacted patient eligibility. Conclusion: These errors, if left uncorrected, may have negatively affected the study outcome. Further research is recommended to quantify the impact of the corrections. Funding/disclosures: The authors are employees of ePharmaSolutions. Background: Challenges in ensuring reliable data in pediatric clinical trials include the need to integrate information from children and parents and the varying ability of children to describe their symptoms. In a previous study, we examined ratings variability on the PANSS to identify items that posed particular difficulty for raters in pediatric trials. This information has been used subsequently to guide training efforts. We applied the same methodology to the Children’s Depression Rating Scale, Revised (CDRS-R). As presented at ISCTM, 2014, our goal was to identify items of particular ratings challenge by detecting items of highest inter-rater variability. Objectives/method: We computed standard deviations (SDs) for each of the 17 CDRS-R items scored by United States clinical trials investigators/ raters across multiple studies who had viewed at least one of nine standardized patient/parent videos. Item SDs were rank ordered from lowest to highest separately for each video, and ranks were then assessed for cross-video agreement using Kendall W.
Conclusion: Two of the high-variability items (“hypoactivity” and “depressed facial affect”) are based on observation, with no questioning of children/parents. These items may require special rater guidance. Clarification of ambiguities and convention-setting for the remaining high variability items are potentially useful interventions for improving CDRS-R ratings performance. Funding/disclosures: Busner J is a full-time employee of Bracket. Findling RL, in the last 12 months, has received research support, acted as a consultant, and/or served on a speaker’s bureau for American Academy of Child and Adolescent Psychiatry, American Physician Institute, American Psychiatric Press, Bracket, Clinsys, CogCubed, Cognition Group, Coronado Biosciences, Dana Foundation, Forest, Guilford Press, KemPharm, Lundbeck, Merck, NIH, Novartis, Otsuka, Oxford University Press, Pfizer, Physicians Postgraduate Press, Roche, Sage, Shire, Sunovion, Supernus Pharmaceuticals, Transcept Pharmaceuticals, Validus, and WebMD. A Robb receives or has received research or travel support, acted as a consultant, served on a speaker’s bureau, or owns stock or equity in American Academy of Child and Adolescent Psychiatry, American Academy of Pediatrics, Bracket, Bristol-Myers Squibb, Eli Lilly, Bristol-Myers Squibb, Forest, GlaxoSmithKline, Janssen Pharmaceuticals, Johnson & Johnson Services, Lundbeck, Merck, NICHHD, Otsuka, Pfizer, Patient-Centered Outcomes Research Institute, SyneuRX, Sunovion, Takeda. Background: We have recently identified identical scoring of all 30 PANSS items across consecutive visits as a potential marker of poor data quality. Our findings indicate that it is highly unlikely even for a skilled rater to rate all 30 PANSS items exactly the same way across two consecutive visits. In the current analysis, we addressed the likelihood of two different raters measuring all 30 PANSS items the same across visits in both the clinical trials setting and when rating a videotaped interview. Objectives/methods: Our data set is derived from 11 global schizophrenia trials for which we have access to PANSS ratings of live study subjects as well as videotaped interviews utilized to certify investigators to rate. In the blinded subject study data, we identified the instances where PANSS ratings were conducted by two different raters at consecutive visits (rater change) and identified how often these PANSS ratings were identical across all 30 PANSS items (identical scoring). Proportions of identical scoring in the certification data were calculated from all possible pairs of interviews between individual raters to assess the likelihood that for a patient who truly was the same (no information variance) that two random raters would rate a patient exactly the same. We then compared the actual individual study data and the certification data using Fisher’s exact test. For purposes of analysis, the null hypothesis was that there would be no difference in the proportion of identical scores between the certification and study data. Results: The total number of raters attempting certification in our dataset was 2,275. The total number of possible rating pairs was 907,966, and the total number of rating pairs with identical scoring was 146 (0.016%). The study data set consisted of 53,567 PANSS interviews out of which 45,823 had the potential to have a rater change or be identical. Rater change between visits occurred 4,009 times (8.7%). Identical ratings associated with a rater change were recorded in 173 instances (4.3% out of all instances of rater change). The Fisher’s exact tests yielded significant results for each of the individual studies, allowing rejection of the null hypothesis at alpha=0.05. The number of instances of rater change associated with identical scores in the study data significantly exceeded the numbers of identical ratings observed during certification. Conclusion: We have previously established identical scoring to be an indicator of potential poor data quality. Our current analysis expands on that topic indicating that it is extremely unlikely for two randomly selected raters to agree on all 30 PANSS items for the same patient even under ideal conditions when there is no information variance. The proportion of rater changes associated with identical scoring in the study data available is approximately 270 times larger than expected by the certification results. This raises questions about whether the study PANSS interviews and scoring procedures within these identical pairs across visits were conducted independently of each other. We suggest that identical scoring across visits in the context of rater change be heavily weighted as a potential marker of poor data quality. In the clinical trial context, investigation of such findings by review of recorded interviews, workbook’s inclusive or scoring rationales or other means is suggested. Affiliations: Worldwide Clinical Trials, Inc.
Background: While the Hamilton Depression Rating Scale (HAM-D) is one of the most frequently used measures within antidepressant clinical trials, it is widely criticized for its conceptual and psychometric limitations. Noted inadequacies include assessing a core single factor of depression and categorizing somatic drug therapy side effects as depressive symptoms. As a result, the HAM-D has been found to be relatively insensitive to assessing treatment effects in depression trials, a disturbing finding given the high failure rate of these trials. Objectives/methods: To enhance assay sensitivity, unidimensional brief depression subscales have been constructed from the HAM-D using factorial and multidimensional modeling analyses. Several studies, including meta-analyses, have shown these brief subscales exhibit scores with greater internal consistency and to be more sensitive to therapeutic antidepressant drug effects as compared to the HAM-D in its various total-item versions. Results: Despite psychometric strengths and potential clinical utility, a literature review reveals few clinical trials incorporated the subscales as efficacy measures and no trial used the subscales in conjunction with traditional clinical assessments as eligibility criteria. Conclusion: Our study provides empirically grounded rationale for when clinical trials might include these subscales and details the process of how clinical trialists can include any of the subscales into multisite clinical trial methodology without encumbering the screening and randomization process. Funding/disclosures: All authors work full-time for Worldwide Clinical Trials and have no conflicts of interest. Background: Investigators often wear many hats in clinical trials, including acting as the study coordinator, medical assessor, as well as symptom assessor (rater). A recent trend is to have roles independent of one another so that different methods of assessment are not biased by other information. This adds to the complexity of assessment maneuvers and increases the number of staff required to follow the intent of the protocol. For instance, clinical global assessments of improvement and change are common scales to assess symptom severity and response to treatment. However, some studies require that the global rater is an independent rater whose only responsibility is the blinded assessment of change based upon their interview with the subject and a caregiver (e.g., CGIC or CGIC+) separate from reviewing or assessing safety assessments. Another trend is for anxiety and depression studies to have the primary efficacy assessments rated independent of the safety assessments. Objectives/methods: We surveyed United States sites who recently took part in various studies that utilized blinded rater roles to gain insight into their understanding and operational ability to adequately staff for protocols where there are multiple roles that are required to be staffed separately. Results: This investigation was aimed at better understanding what level of investigator services sites are able to implement in sophisticated protocols. Conclusion: Communications with sites during protocol development regarding the ability to staff multiple roles will enhance relationships (e.g., sponsor, site and CRO) and decrease deviations due to complexity of investigator roles. Background: With the ever-increasing complexity of clinical trials in the United States, it has become paramount for individual clinical research sites to become more advanced in their ability to collect valid and reliable data and to be responsive to feedback received from sponsors regarding the implementation of protocols. One very important source of information for sites is the data released by the sponsor at the conclusion of the study indicating the unblended treatment group assignments for individual subjects. Although these data are routinely provided to sites, there is little information available indicating how sites should interpret the data for their own growth and development. Objectives/methods: This review outlines how clinical researchers can develop a tool to analyze unblinded data and presents ways that individual researchers can use these data to monitor the integrity and the quality of the data collected at their sites. Conclusion: The methods discussed will allow clinical researchers to determine whether their particular sites have excessive placebo responders, subjects with inadequate response to the investigational product (IP), or more subjects failing to complete the trial than would be expected based on the data collected from the trial as a whole. Affiliations: Otsuka Pharmaceutical Development and Commercialization, Inc.
Background: Tools and technology are readily available for use in the clinical trial process, from eConsent, to eSource, to digital medicine; hence the ways in which data may be generated, collected, and processed has changed dramatically. However, the adoption of technology solutions to enhance data collection and reporting has been incredibly slow in the last two decades compared to other industries. How researchers obtain study data in traditional trial designs can often result in delays of data visibility from weeks to months. This scenario results in the inability to gain initial insights from the data early on, restricts the ability of researchers to mitigate risks during the trial, and impedes early decision making. Objectives/methods: Authors review how marrying innovative clinical trial tools and solutions such as the use of eConsent, eSource, along with adaptive trial designs, can change all of this. Conclusion: Leveraging digital medicine tools with a robust data processing platform not only allows researchers to look at data in new and improved ways, but also in real time. Funding/disclosures: All authors are with Otsuka Pharmaceutical Development and Commercialization, Inc.
Background: Translation, linguistic validation, and cultural adaptation of clinical outcomes assessments (COAs) are unavoidable for global clinical trials, and each trial is exposed to inherent risks posed by these tasks, such as introducing noise in the data or changing the concept that the original COA intends to measure. In an effort to minimize these risks, strict and specialized translation procedures and guidelines have been established for both COA translation and training clinicians in how to use them. Following these procedures and guidelines maintains COA measurement quality, preserves the uniformity of the measurement across languages, and minimizes the introduction of noise in collected data. In contrast, these very same procedures and guidelines present challenges that need to be discussed and further analyzed. 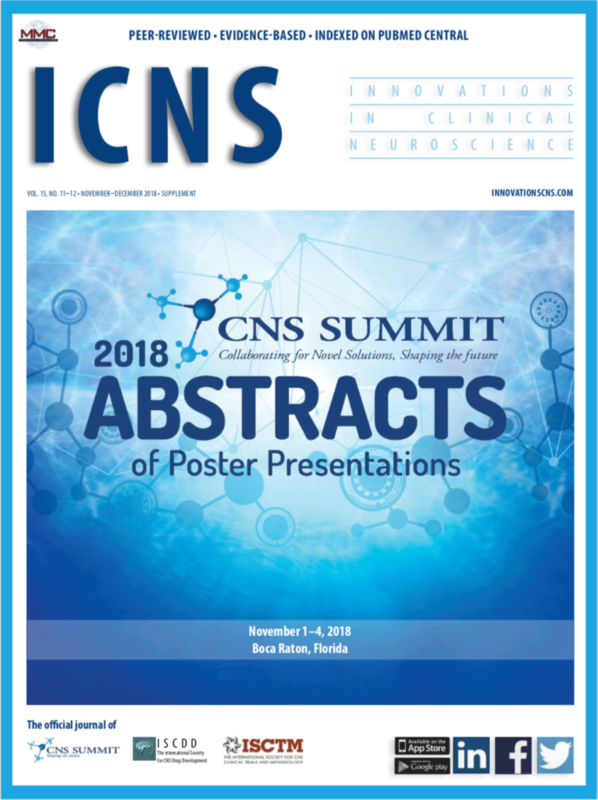 Objectives/methods: Three case studies highlighting challenges and potential risk mitigation associated with cost-efficient translation management, translation of training materials for clinicians, and linguistic validation of the different types of assessments used in CNS studies are presented. The main objectives for the case studies are assessment of inefficient practices in the translation process and presentation of alternate more efficient collaborative practices. Conclusion: Translation of COAs for clinical trials will continue to pose challenges and risks to the industry. There are some steps that can be taken to minimize these including making use of efficiencies, industry awareness, and consideration of assessment application. Further consideration of creating more centralized repositories of common scales and translations should be explored with individual copyright holders and publishers. Background: Increased rates of attrition have become a threat to the validity and overall efficacy of CNS clinical trials. Additionally, the debate on what recruitment method retains the most patients has been widely speculated. This study investigates if there is a significant difference in retention dependent upon recruitment method, specifically internal primary investigator (PI) practice referrals and known patients versus advertising and outside recruitment. Current research on recruitment and retention has specifically targeted strategies to increase overall retention, rather than differentiate method of patient recruitment and its relation to retention. Additionally, the majority of research fails to assess reasons for insufficient retention. The ability to determine the most effective method of recruitment may lead to increased retention in clinical trials. Patient referral sources and trial outcome will be evaluated to determine significant differences in retention rates dependent upon method of recruitment. It is hypothesized there will be no significant difference in trial outcome dependent upon method of recruitment. Objectives/methods: One hundred and eighty-four subjects who participated in three separate eight-week acute inpatient schizophrenia trials were coded by recruitment method. Three methods of recruitment were defined: database referrals (patients known to site), physician referrals (PI and colleague referrals), and advertising (print, radio/TV, community liaison). Outcome of trial was defined as: completer or early termination. A Chi-square analysis was performed to determine any significance in trial outcome based upon the method of recruitment for the subjects. Results: Chi-square test results were found to be significant, chi2(1, n=184)=6.3, p=0.012. The proportion of patients who completed the trial recruited from the database referrals (50.7%) was greater than the hypothesized proportion (33%). While the number of patients who completed the trial recruited from physician referrals (25.3%) and advertising (24%) were slightly less than the hypothesized proportion. Conclusion: The results suggest that there is a relationship between probability of trial completion and method of patient recruitment. It appears that patients recruited from the site database assist in the retention and overall completion of participation in trials. Psychometric data monitoring in clinical trials: Can disparities between patient and clinician reported outcomes predict risk of measurement error? Background: Ongoing psychometric data monitoring was applied to a randomized, placebo-controlled trial of a compound used to treat patients with major depressive disorder. Cronos data monitoring identifies potentially discrepant items in psychometric measures and targets those visits for discussion with the clinician. In particular, Cronos reviewed data generated by a patient self-report HAMD using interactive voice response (IVR) and the clinician administered MADRS. In this study we used the correlation between the MADRS administered by a clinician and the patient-rated HAMD using IVR as a proxy for risk of assessment error. Objectives/methods: Data from 575 patient visits were analyzed using SAS 9.3 and correlations obtained across visits and between MADRS and IVR HAMD scores. The change in individual item scores across visits was also calculated to examine similarity and magnitude of change captured across scales. Results: There was very weak correlation with poor significance between MADRS item “reported sadness” and HAMD item “depressed mood” (Spearman’s r=0.055, p=0.590) at the baseline visit. MADRS “inner tension” and HAMD “psychic anxiety” had similarly weak correlations at Baseline and Visit 2 though items across scales assessing sleep and appetite had moderate to strong correlations across visits. Conclusion: We found that the two scales under consideration did not agree strongly, and individual item correlations measuring similar constructs across scales had very weak or no correlation. Based on the results of interactions with raters targeted based on discrepancies across scales, we found the primary source of error was located with the rater.